Thankyou everyone at Rubber Dance for inviting me to do a guest spot for a card design. It came as a great surprise to me that I won a challenge and I am still excited. 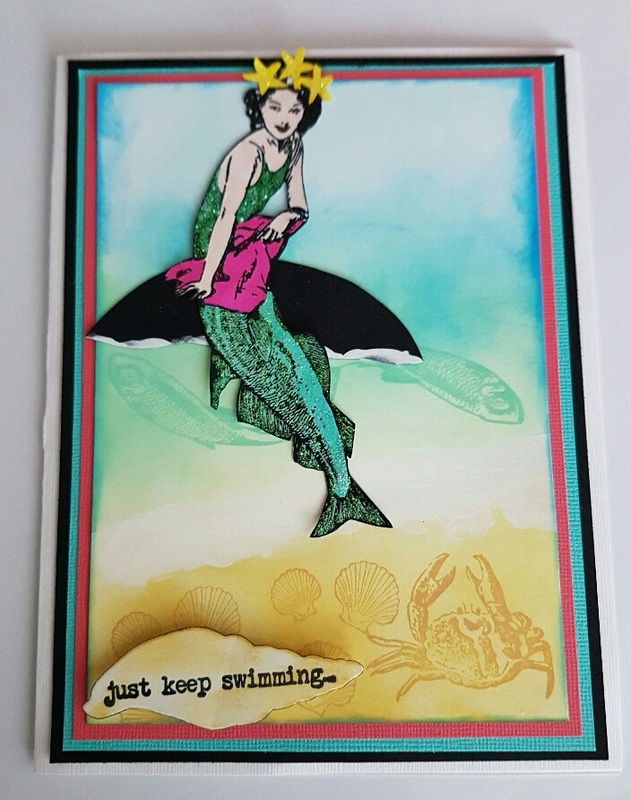 I have chosen to make a mermaid out of "take the plunge" "textured flowers "and "something fishy". I gain a great deal of pleasure and fun out of using Rubber Dance stamps, as I seem to be able to come up with designs out of the ordinary most of the time. I do hope your followers with the challenges, gain as much pleasure as I do out of Rubber Dance stamps.